Managing the rodent population on 200 acres of open ag fields is not easy task for Center staff, especially when surrounding areas have been developed, or are in the process of being developed. The question is always asked what is the best method? Well, one is to let mother nature take her course. 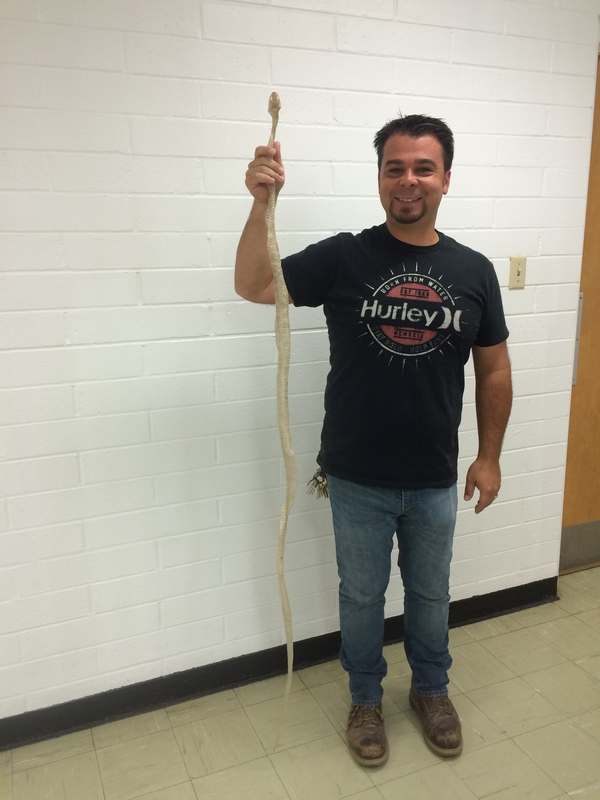 Center Superintendent, Chris Martinez, was happy to see evidence of one of our latest visitors that will certainly be of big help. 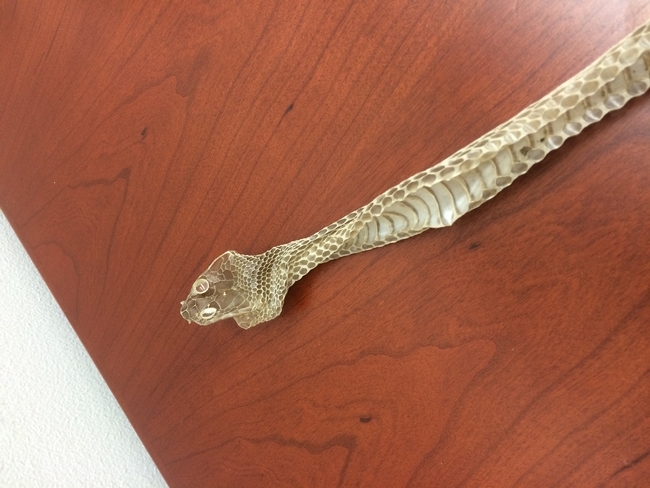 Holding the recently shed skin of a Gopher Snake, Pituophis catenifer, Chris explained that while it is similar in appearance and posturing to a rattlesnake, it is harmless. One significant difference to distinguish them apart is that the gopher snake will always lack the rattle. These snakes are very helpful since they are attracted to rodents which can destroy crops, landscape plantings, and can potentially spread disease. Due to the drought, you may see more and more wildlife such as this in your nearby surroundings seeking food and water - especially in the morning and evenings during the summer. Please do not panic, they are a very important part of the ecosystem and will typically not hurt you if you give them space and let them be on their way.